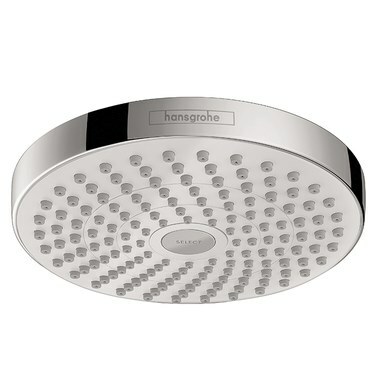 This Croma Select S 180 Green two-function shower head features sleek contemporary styling and a choice of Rain and IntenseRain spray modes to sooth or refresh you. A select button lets you comfortably switch between spray modes with ease. The fully finished, matching spray face has 147 no-clog spray channels to reduce lime and calcium build-up for easy cleaning. 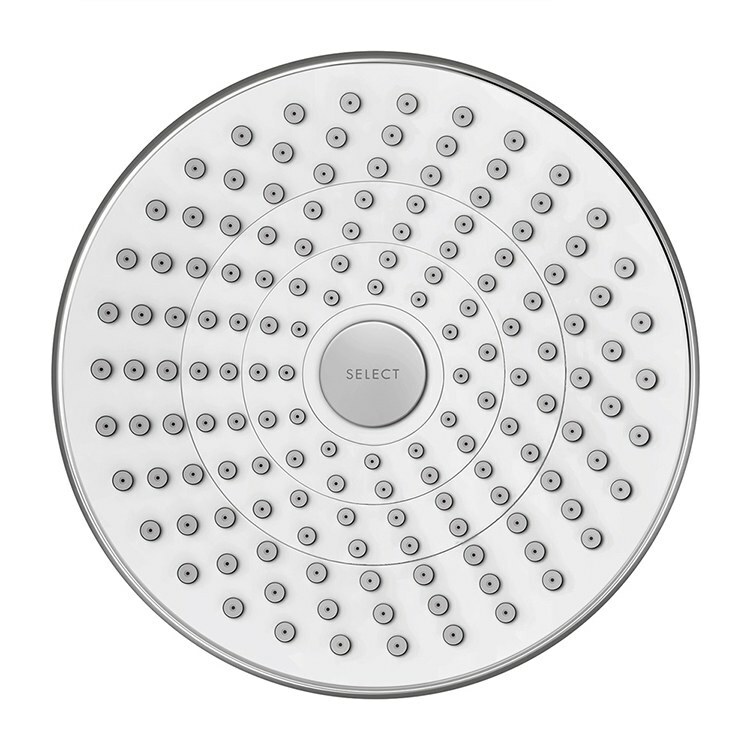 The round shower head measures 7-3/8" in diameter x 3-3/8" high and features a swivel ball joint. Fits any standard shower arm with 1/2" threaded connections.